"Come on, Nintendo. Why would you short-bake these??" It's fair to say that the NES Classic Mini has proven to be rather popular, but sadly Nintendo appears to have massively underestimated demand for the pint-sized console. The shortage of stock has resulted in high prices on the secondary market, with scalpers hitting the web in force. This whole sorry situation isn't just annoying Nintendo fans, however - two high-ranking Xbox executives have taken to Twitter to voice their disappointment. 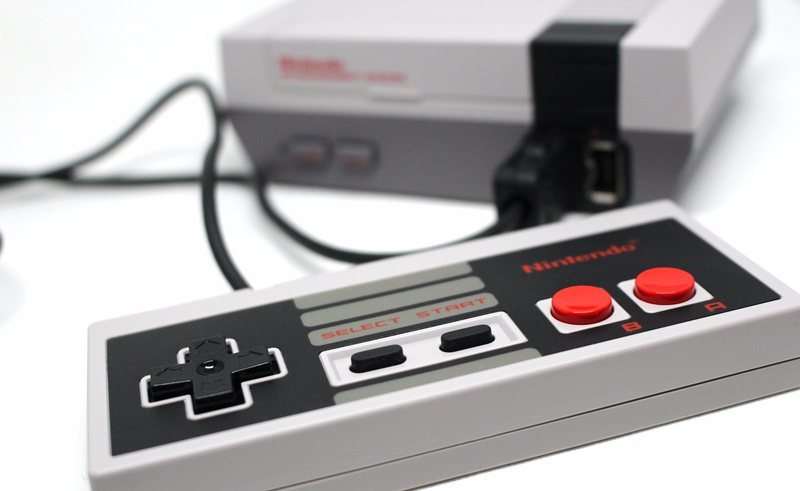 Nintendo has made assurances that more NES Classic Mini stock is coming before Christmas, but it's looking very likely that many people - like Loftis and Ayoub - will be disappointed that Saint Nic isn't bringing them a console. The refreshed system has been a massive seller, and not just in the west; in Japan, the Famicom Mini has shifted a quarter of a million units in four days. Nobody is immune to the nes mini! Of course XBox reps are angry they don't have NES minis. What else worthwhile will they have to play over Christmas? I wouldn't doubt the meaning behind these tweets for a second if it was Phil Spencer doing that, but given it's not him this time, I can't figure out if these two are legitimately angry for stock shortage or are just taking a cheap shot at the Wii U, given they'd rather buy a NES than getting a Wii U (which, mind you, also works as a NES). Either way, better have some cunning plan to get a NES Mini! That's cuz most of the people in gaming has started with the NES plus it's a cool impulse by for new gamers. probably an insult to Nintendo, also if they are high flying executives for Xbox Im sure they aren't short of a few quid. they could surely afford to get one somewhere else. have they not heard of ebay? i'll wait 'til next year when the super nes mini comes out with support for downloading games from all generations up to the n64. btw, is it true that the thing is more powerful than the wii? Fun fact, Rare was famous because they decoded the original famicom and was able to utilise various graphical engines that impressed Nintendo! I find this article a neat coincidence as Rare is a Microsoft subsidiary. Nintendo ALWAYS have stock issues and deliberately "underestimate the demand". I guarantee you the Switch WILL HAVE stock issues even if it only sells 20 units at launch. @AlexSora89 Wile E. Coyote, Genius and President of Nintendo Hardware Sales Projections. NES Mini available on the other side of this tunnel. I'm disgusted that I as a loyal Nintendo fan for over 30 years, follow their every move, reserved it as soon as it was available but still didn't get an NES Classic Mini as Nintendo botched the supply. I want to play it, meanwhile, there are scumbags who have no interest in playing it, with multiple units trying to fleece us on places like Ebay. People like this lowlife. Pretty accurate considering how the Wii U ended up. Nintendo can't get it right. They made too few Wii's, too many Wii U's and now too few NES Minis. Phil Spencer's unit arrived at the MS office a few days before release. Twetted it out and everything. Nintendo doesn't need any help looking had when it comes to product shortages. Burying the Wii U below, raining NES Mini stock shortages above. @lemonjellydude Why in god's name would you spend 1,000 dollars for a 60 dollar machine even if you had the money to blow? Anyone who is buying an NES Mini for anything over a 100 bucks is a fool. Hell, for the same 1,000 bucks you could get 2 Wii Us, some Wii U games, and access to more NES games then the NES Mini has. Not to mention access to SNES, GBA, N64, DS, and TG-16 games. I get that people want an NES mini, but anyone who pays over 100 bucks is getting ripped off. They aren't insulting anyone. Simply put, Nintendo fumbled the ball 1-yard from the endzone with one of the hottest items of this holiday season by not making enough units. @AlexSora89 Somehow, your first image reminded me of the amiibo lorry theft... I think it was amiibo? Or some limited-edition game? My five year old son has been happily playing mine since Friday afternoon, hasn't a clue how lucky he is! Waw, I feel genuinely lucky that I got one. Pre-ordered it from Amazon after it was announced. It's great by the way. Never realised how deep and fun so many NES games are. Ice Climbers NEEDS a comeback. As does a proper Excitebike, ala N64 version. Having SMB3, Castlevania and Zelda on it is reason enough for me to own one. Graphically and general presentation its lovely. Unlike those other plug and plays from Namco, Sega etc. Sort out your supply Nintendo. Honestly, it's embarrassing. It's like amiibo. When stock is plentiful, no one wants any. When stock is low, you impulse buy any and all amiibo you see! Hmm... If they created more, could it outsell Wii U? Maybe it would be embarassing for Nintendo, so thats why they decided for this shortage. The new slogan for PlayStation systems: "It only does MEEP MEEP". Short supply demand strategy. Too bad the scumbag scalpers take advantage of the opportunity. But I'll wait until Nintendo sends enough to purchase. Meanwhile, I'll keep a look out for the Switch reserves. Lol.. yeah, cause we all know Dead Rising 4 isn't going to deliver too well. @AlexSora89 "The new slogan for PlayStation systems: "It only does MEEP MEEP"." That's funny, as we've been doing this I was actually thinking Switch should have a Roadrunner game at launch. 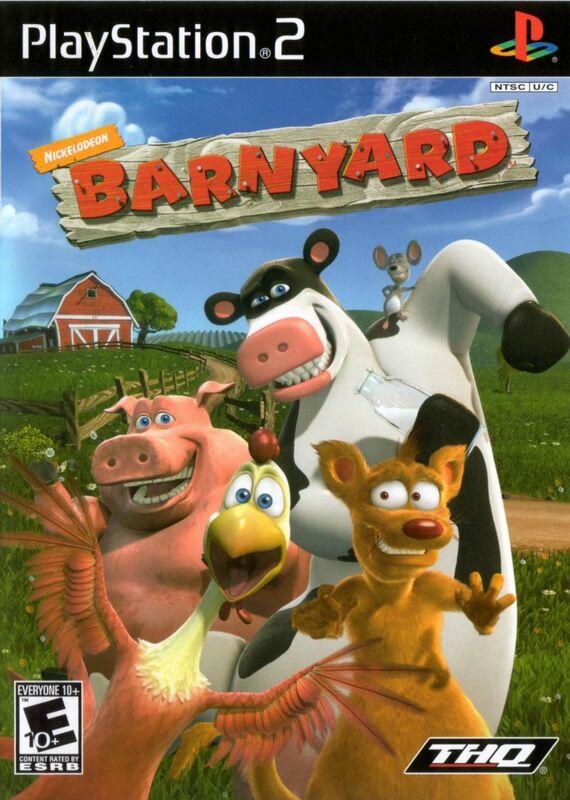 Looney Toons had to be the inspiration for Barnyard on PS2, which wasn't a bad game, I played it a bit, my kid played it a lot. Just not a lot of kid games anymore since HD took over. I know most people see the lack of shovelware as a god thing, but they they weren't all shovelware, some were just kid games. Boom Blox and DeBlob were good games, no much like those this gen.
Well they are consumers like the rest of us so this makes sense. I'm just waiting to see when they will restock. I'm not too stressed about it. Actually, what with Sonic Boom being on Cartoon Network, SEGA could make a great Road Runner game simply by reskinning a Sonic one. 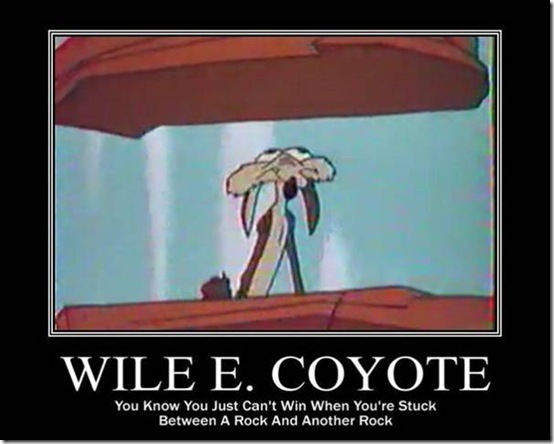 Wile E. Coyote is a gadgeteer genius after all - just replace the "Eggman flies away with his ash-dirty face on the Eggmobile" animation with a "Coyote-sagittarius constellation, yet again" one and voilà, the Road Runner game is pretty much done. Not to mention the Nostalgia Critic once described the Adventures Of Sonic The Hedgehog show as "a Road Runner and Coyote kind of thing... where the characters talk", ironically bringing the comparisons full-circle. And again people think shortages are a typical Nintendo problem. @MrGawain Uh, Dead Rising 4 and other multiplatform games? @AlexSora89 Sounds like you've given this some thought before. Just discovered Animaniacs had a Sega Genesis game. Everything old is new again, but I suppose any remake kids cartoon - Warner Bros, Looney Toons, Hanna Barbera, etc, is more likely to end up as a mobile game than a console game. Progress. The Sid and Marty Kroft shows deserve their own game though. Should have been done by now. Oh. 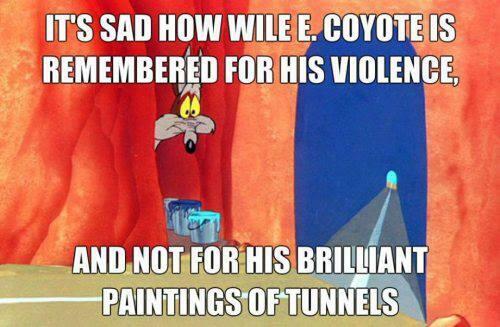 But I guess it does come from a short: the colors/colours all around Wile E. keep vibrating. I never gave it any thought, actually - rather, it was a single "Eureka!" moment where everything just kind of came to me at once. NES Mini... Who's playing with power?! Now your 'not' playing with power. 😁 I'm regretting cancelling my pre order with Amazon. I want one now. I don't mind once I get one eventually. @SLIGEACH_EIRE The problem is people are paying $200-$250 for them. If people wouldn't do that, then there would be no ebay black market. But too many people have money to burn, and Nintendo enjoys watching potential cash flow burn up in ashes. NES Mini should have been $150. The average consumer probably sees it as a better value than WiiU, has by far a better controller, and has a better game selection. Sad, but true. @XCWarrior Better game selection? The NES VC on the Wii U alone trounces what the NES Mini has to offer. I'll give credit to the system, but 150 bucks is too much for a system like this. Especially when Sega and Atari ones are being sold for 40 bucks. That was slightly a tongue in cheek comment. But it's also amusing that they're so upset they can't get a budget machine of 30 year old Nintendo games when they represent a console that is the absolute antithesis of Nintendo's style of gaming. Nintendo are official morons. Years of under production and cost cutting are hitting them hard. Nintendo releases a new console. "Urgh, same old Mario and Zelda console, pass"
Nintendo releases Mini version of an old console. "Ah I need one! Haven't played Mario and Zelda for years!" And people often wonder why Nintendo don't push the boat out with new IPs and play up to nostalgia so much. Ah well, I don't begrudge anyone who wants this thing getting one really. Hopefully with the Switch will shake things up a bit. @Caryslan I said, "The average consumer probably sees it as a better value.." Key words. THE AVERAGE CONSUMER. AKA The casuals. AKA the people who don't realize the WiiU has online functionality and therefore don't know it has a Virtual Console. And if plenty of NES Minis are going on ebay for $200+ dollars, then yes, Nintendo could have initially sold this thing for $150 and they still would have sold out. Then dropped the price later. I, personally, would never recommend the Wii U's Virtual Console over the NES Classic. The Wii U's emulator is one of the worst official emulators that I've seen, and it performs worse than the Wii's VC emulator by far. As far as an 8-bit console costing $150 today? It better have the four score, and way more than 30 games... with none of them being Urban Champion. The scum are quite a handful, aren't they? When will Nintendo learn how to prevent this despicable action??? I like you. We think alike. Not anyone who got screwed outta this. @Linker2A03 Ebay is showing the market is willing to pay $200-$250 for 30 games on the NES. The market does not care what you are willing to do. Again, Nintendo should have started the price higher, waited for sales to stall, then drop the price. They need to learn to maximize profits. This is why they are a company on the decline, because they don't do these things. I've played all the games on the NES Mini that I wanted to before, most I own, so I can wait it out. The people who can't wait need to pony up the big bucks. Because that gif is brilliance. Which one? The first, or the second-third combo? Oh, that. Would you believe I had trouble finding a "forumable" version? The first result I found was on photobucket.